Uribe followed up his meeting with a one-page “Message to the authorities and the Congress of the United States of America” opposing the peace accord. His political party sent his document to all U.S. congressional offices and even to Colombia-concerned individuals like me. 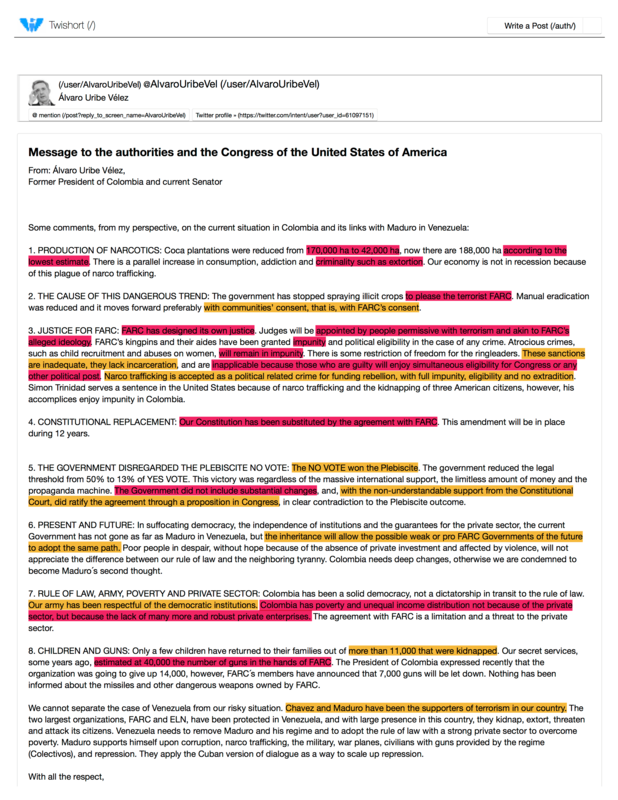 The document is riddled with false or inaccurate statements (highlighted in pink) and debatable claims (highlighted in orange). I’m writing up a point-by-point response, but it’s taking a long time because there are so many of them. Stay tuned.